CDC/NCHS, National Vital Statistics System, Mortality. CDC WONDER, Atlanta, GA: US Department of Health and Human Services, CDC; 2018. https://wonder.cdc.gov. Florence CS, Zhou C, Luo F, Xu L. The Economic Burden of Prescription Opioid Overdose, Abuse, and Dependence in the United States, 2013. Med Care. 2016;54(10):901-906. doi:10.1097/MLR.0000000000000625. Morone NE, Weiner DK. Pain as the fifth vital sign: exposing the vital need for pain education. Clin Ther. 2013;35(11):1728-1732. doi:10.1016/j.clinthera.2013.10.001. Van Zee A. The Promotion and Marketing of OxyContin: Commercial Triumph, Public Health Tragedy. Am J Public Health. 2009;99(2):221-227. doi:10.2105/AJPH.2007.131714. Center for Behavioral Health Statistics and Quality (CBHSQ). 2017 National Survey on Drug Use and Health: Detailed Tables. 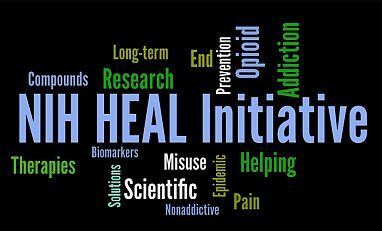 Rockville, MD: Substance Abuse and Mental Health Services Administration; 2018. Cicero TJ, Ellis MS, Surratt HL, Kurtz SP. The Changing Face of Heroin Use in the United States: A Retrospective Analysis of the Past 50 Years. JAMA Psychiatry. 2014;71(7):821-826. doi:10.1001/jamapsychiatry.2014.366.